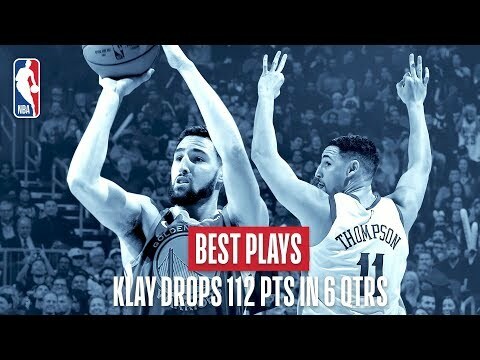 Best Plays of Klay Thompson's Impressive 112 Points in 56 Minutes! We look back at two memorable performances of Klay Thompson?s career. In 2016, he scored 60 points in 29 minutes vs the Indiana Pacers. And last week Klay broke the single-game record for three pointers (14), finishing with 52 points in 27 minutes during the Warriors victory over the Bulls.